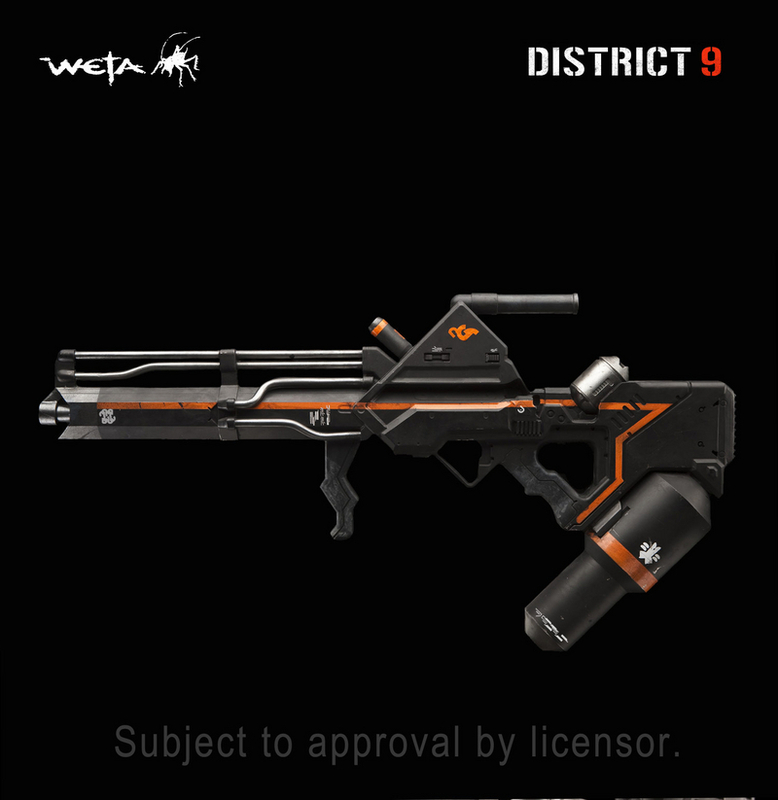 WETA has released information and images of their new full scale “District 9″ prop replicas. 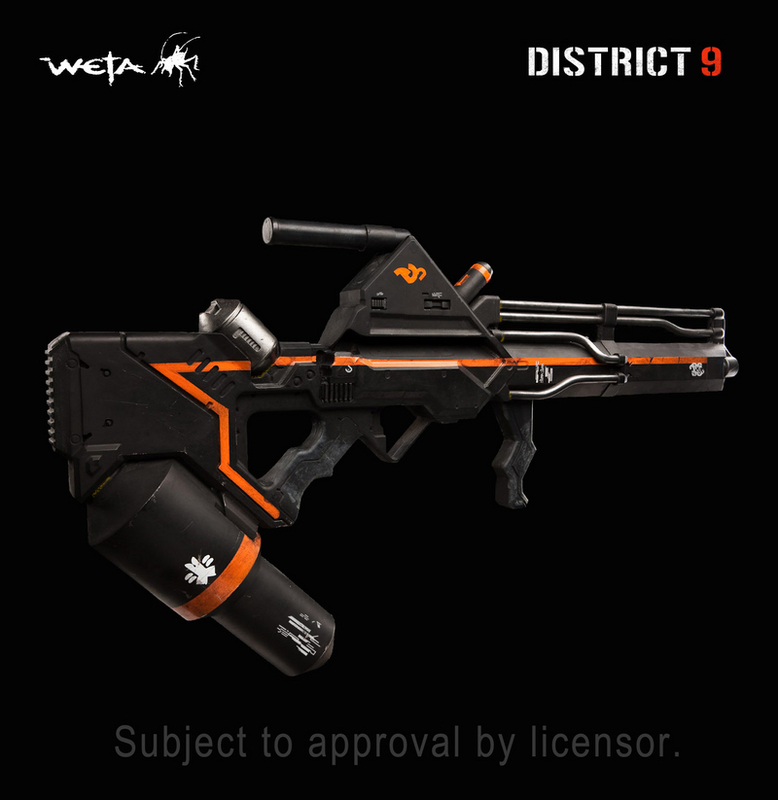 This limited edition prop replica is one of the first in a range of District 9 items from Weta. And of course, unless your genetic makeup is part prawn, you cannot power up or fire this gun. Wikus van der Merwe finds out the hard way that a measure of Alien DNA makes powering up and firing one of these babies a real doddle. 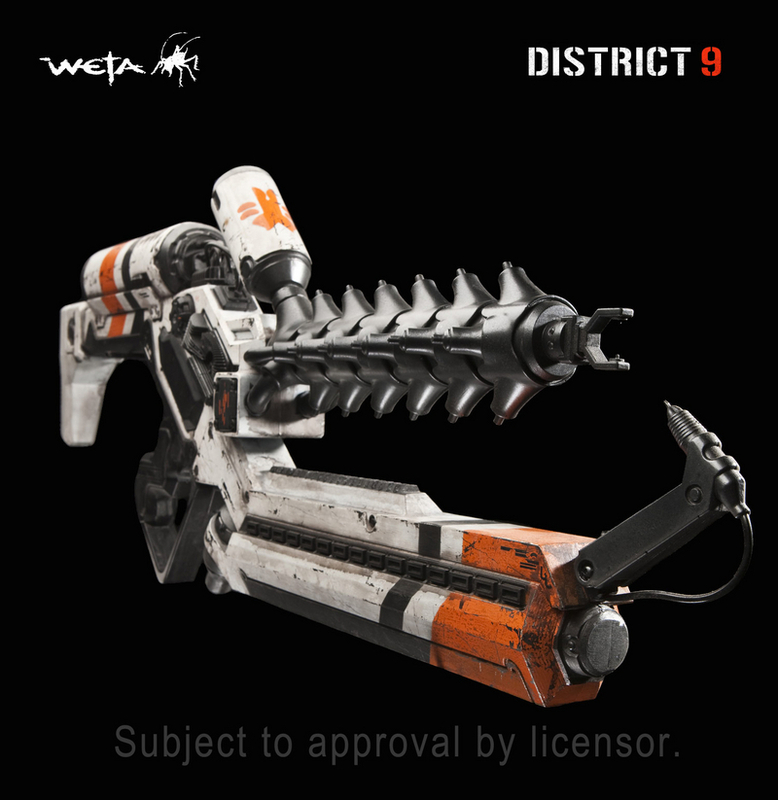 An EXACT replica of the guns used in Neill Blomkamp’s District 9, designed by Dr Grordbort’s designer Greg Broadmore and modelled on the actual props created by the artists and craftspeople at Weta Workshop. 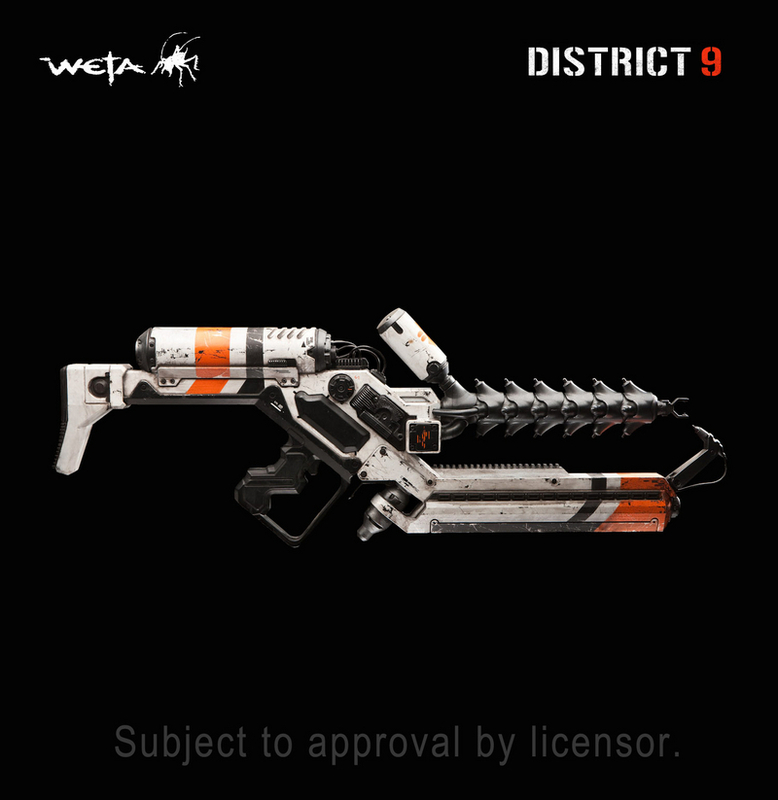 This gun comes battle worn, alien gunk oozing out of its couplings and all the scratches and markings you’d expect from tough action in District 9 and by handling by Nigerian gun runners. It’s made mainly from glass fibre, with some details made from other materials. It comes with a wall mounting bracket for display. The Nigerian crime lord of the District 9 ghetto, Obesandjo, has amassed a significant cache of prawn hardware through terror and pushing tinned cat food.